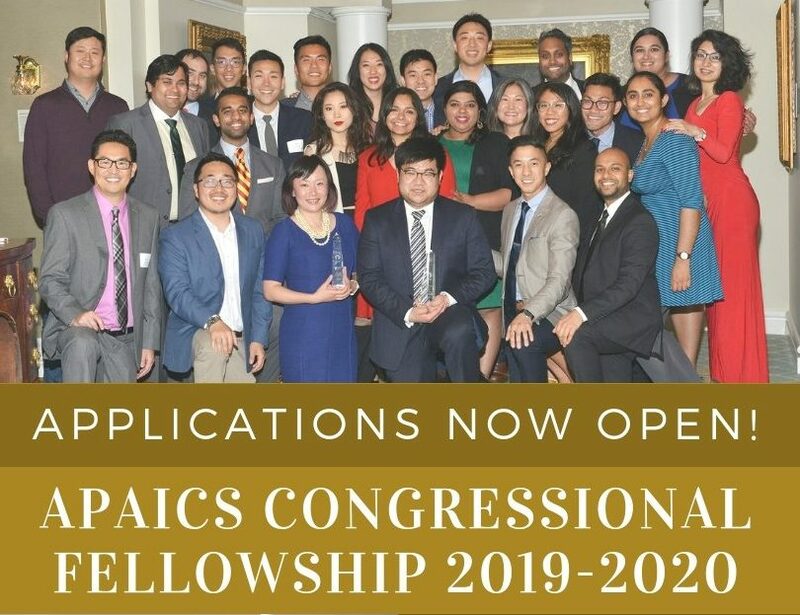 The Asian Pacific American Institute for Congressional Studies (APAICS) is currently accepting applications for the 2019-2020 Congressional Fellowship Program in Washington, DC. The APAICS Congressional Fellowship Program offers full-time legislative and public policy fellowships in Washington, DC, providing exceptional graduates and young professionals with an opportunity to work on policy issues as staff members in a congressional office. The program aims to build leadership skills, encourage political civic engagement, and foster a strong interest in public service careers. Additionally, the Fellowship Program offers a living stipend and health insurance, a mentorship program, access to the APAICS Alumni Network, and professional development opportunities throughout the year. -Have completed their undergraduate degree and/or have at least five years of public service experience prior to the program start date. -Be U.S. citizens, lawful permanent residents, or individuals who are legally authorized to work full-time without restriction for any U.S. employer and who possess lawful evidence of employment authorization. Note: Family members of the APAICS Board of Directors or National Advisory Council are prohibited from participating in any of APAICS’ programs. The following items are required as part of the application and should be uploaded below. For additional information, please contact us at fellowship@apaics.org or (202) 296-9200.